Perhaps the vision of your children happily learning comfortably at home – in their PJs, no less! – drew you to homeschool. Or perhaps the hope of providing a more academically challenging course of study caused you to consider writing that letter of intent. Or maybe the latest news cycle made you deem home to be the safest environment for your student. No matter what brought you to homeschooling, chances are it is probably not exactly what you expected. In some ways, it probably exceeds your expectations and in other ways, it is likely tougher than you could have imagined. After all, a child’s education provided in compliance with necessary regulations is quite a load to carry! If you are experiencing “homeschool angst,” please know this: You’re not the first, you will make it through, and there is help! One resource available to you is a Homeschool Academic Advisor. What is a Homeschool Academic Advisor? A homeschool academic advisor is a certified educator experienced in online learning. They are able to come alongside your family and do some of the heavy-lifting so your time and energy is more available to accomplish your main goal as a homeschool parent – to spend time with your child, teaching and training them. As the title implies, a homeschool academic advisor can assist you in planning your student’s course of study. For example, for a high school student, the advisor can help you plan which science and history classes your student needs to fulfill graduation requirements. Or which classes will better prepare your elementary student for middle school. Your advisor will recommend a course of study that complies with your local laws and regulations, including which documents need to be gathered. Please note: The burden for abiding by homeschool laws is borne solely by the homeschool parent. An academic advisor functions as a consultant. Hand and hand with complying with regulations is reporting. Your homeschool advisor will send you the necessary reports at the correct intervals and help you compile them in your portfolio or prepare them for submission. For example, if your district requires you to submit quarterly progress reports, your advisor will download the necessary report each quarter and email it to you. Your advisor will give you the tools to compile any afore mentioned documents into an organized binder. Your homeschool portfolio will keep all necessary records in one organized, concise binder. As questions arise (such as which math course should be taken next? Or what is the best curriculum for high school chemistry?) you may email your advisor. 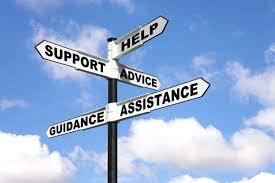 The advisor’s experience and expertise will be an invaluable resource as issues arise. Because Global Student Network (GSN) is committed to equipping homeschool families with what they need to succeed, GSN is offering access to a homeschool academic advisor. Families enrolled in a fulltime GSN curriculum program will be connected to an academic advisor free of charge*. Contact GSN to get started with your homeschool academic advisor today! Not a part of GSN? Homeschool Academic Advisor Available for $99/year per student. *Homeschool Academic Advisor is Free to GSN Students with Full Time Enrollment at Global Student Network.